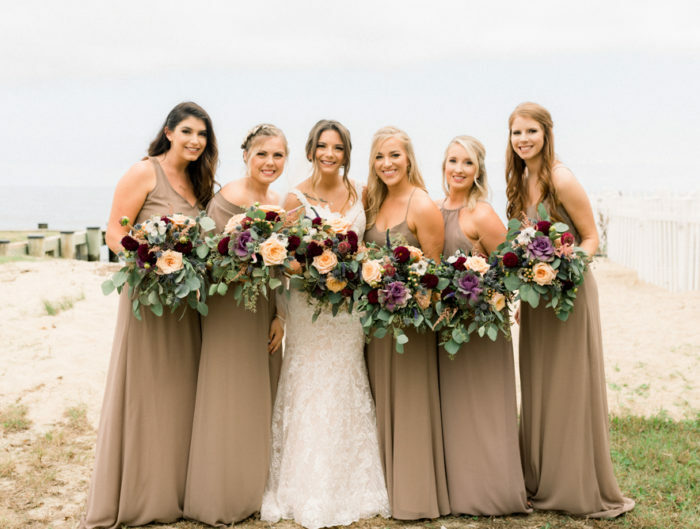 Warm autumn colors are an intrinsic part of today’s Virginia wedding at a beautiful vineyard. 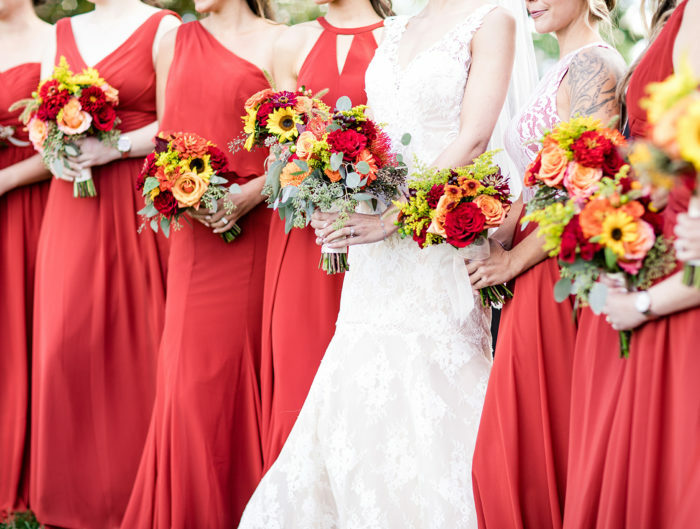 The seasonal inspired details are captured by Brett Simpson Photography in a way that just makes you want to cozy up as you scroll through their charming rustic fall fÃªte filled with pops of reds and oranges (and plenty of pumpkins, too!). Valerie and Jason’s romantic, yet relaxed, vision for their beautiful day is just overflowing with love and I’m totally smitten. And as a special treat, we also have their wedding trailer video from Villatoro Productions (Warning: Grab a tissue!) Come back later this morning to see the reception. 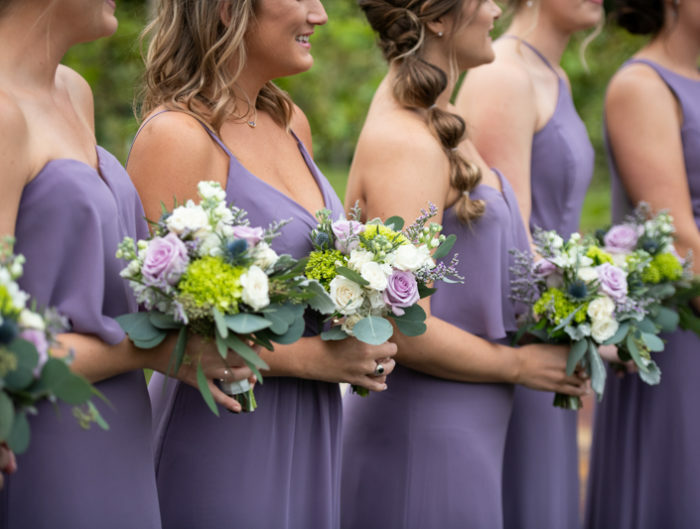 From Valerie: We got married in the fall and all colors revolved around the wonderful bright color pallet of this time of year. By far our favorite memory of the day was our first look among the vines with our bridal party by our sides. We chose to see each other before the ceremony to ease our nerves and to ensure we had plenty of time to get the pictures we wanted. Now onto their wedding trailer video from Villatoro Productions. Be sure to check out and grab some tissues! Don’t say we didn’t warn you….